Deloitte, the leading business advisory firm, has announced plans to significantly expand its Belfast Technology Studio, a move which will create an additional 177 jobs over the next 3 years. The jobs will be supported by funding from Invest Northern Ireland and will bring the total employed in the Belfast Technology Studio to 201. The initiative aims to develop a “state of the art” technology hub which will deliver a host of innovative applications and collaborative tools to global clients, experience of which is highly desirable among Northern Ireland’s increasingly talented technology workforce. 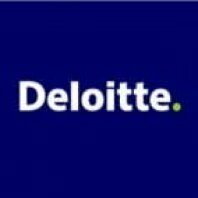 Deloitte’s Belfast Technology Studio will supplement its existing world-class Technology Consulting offering with three new distinct but interrelated service areas; Deloitte Analytics, Deloitte Digital and Deloitte Testing Services. These service areas have been launched as a direct response to increasing market demand and will create a unique offering which will allow businesses to harness emerging technologies and techniques to capitalise on a wealth of opportunities that exist in today’s marketplace. Deloitte is already recognised as a world leader in innovative technology and online digital solutions and this investment is designed to further cement that position. Danny McConnell, Technology Partner at Deloitte Belfast, said: “This investment in our Belfast Technology Studio represents a significant step up from our previous ambitions in Northern Ireland and is a direct response to major new opportunities we have identified in the provision of specialist and integrated analytics, digital and testing services. The fact that we have chosen to further develop our Technology Studio in Belfast is testament to the skilled workforce and advanced infrastructure in Northern Ireland. With the help of Invest NI we plan to develop a dedicated team of professionals who are passionate about innovative and emerging technology which will enable our clients to stay ahead of the game in this fast changing technological age. The expansion will require a wide range of skills and experience, including Digital Software Engineers to develop web/mobile platforms and Systems Integration Engineers to solve the challenges associated with leveraging legacy data and backend systems. Testing skills will be in high demand where candidates must have an acute attention to detail in order to ensure software is of a sufficient quality. Analytics skills will also be highly sought after which may come from a range of diverse backgrounds including Science, Technology, Engineering or Maths, but should all have an appreciation of the business value in harnessing insightful data. The majority of roles available are tailored to graduates and mid-low level entry positions (i.e. 0 to 5 years work experience). Recruitment is already underway for the new positions and further details about the range of jobs can be viewed on the Belfast Technology Studio Careers Page.